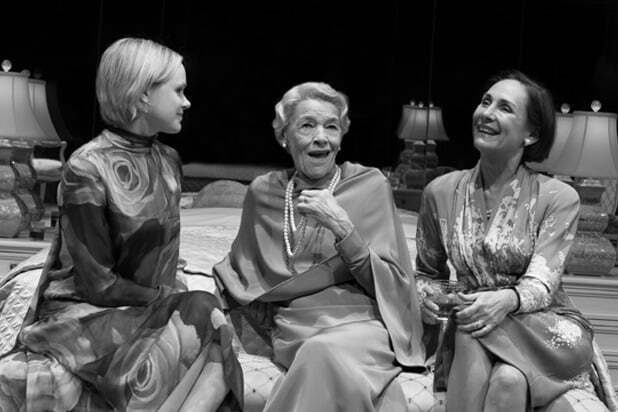 In 1994, when Edward Albee’s “Three Tall Women” had back-to-back premieres Off Broadway and on the West End, people close to both productions said that in London the play had been turned into “the Maggie Smith show.” I didn’t see it on the West End, but I did see the New York staging with Jordan Baker, Marian Seldes and Myra Carter in the role of A, the cantankerous old woman also played by Smith. Off Broadway it was very much an ensemble. “Three Tall Women” opened Thursday on Broadway, finally, at the Golden Theatre, and 81-year-old Oscar winner Glenda Jackson dominates this revival, at least for the first half. Having now seen Jackson’s absolutely monumental A, it’s almost impossible to conceive Albee’s first act any other way. With her crippling physical ailments, constant complaints and need to place blame, her free-ranging bigotry, wild meanderings and sudden need to go to the bathroom, A barely leaves oxygen in her over-appointed tomb of a bedroom for the middle-aged caretaker B or the young attorney C to breathe. Playing against Jackson’s A — there’s no other way but “against” this woman — Laurie Metcalf as B and Alison Pill as C manage to establish their own definite characters, although often they must rely on a withering glance or a hand on weary hip. Pill bristles with youthful rebellion; Metcalf displays a patience that only money can buy. And they listen attentively, if against their will. C almost never stops talking, and sometimes she gets downright pornographic in her memories. In the 1960s, Jackson brought a sexual voracity never seen before in an actress on screen, with “Marat/Sade,” “Women in Love,” and “The Music Lovers.” Amazingly, her C is often just that revved up all these years later, although now a lion in winter charging into the night. Under the direction of Joe Mantello, the first act of “Three Tall Women” is most definitely the Glenda Jackson Show — and a magnificent show it is. 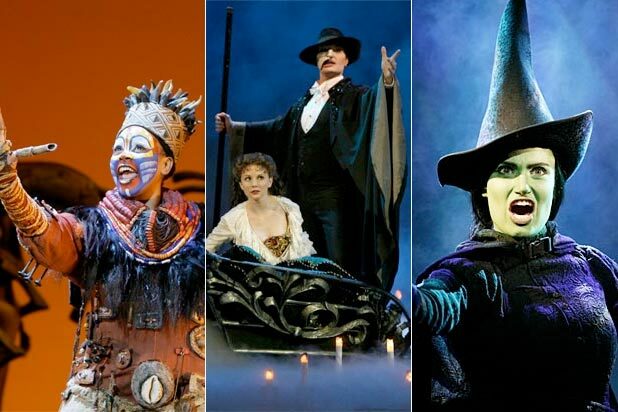 Broadway is fortunate to deliver one event a season, and Jackson is that event for 2017-18. The beautiful surprise of Mantello’s direction is that the second act is very much the fine-tuned ensemble that I recall from the 1994 Off Broadway production. The three actresses are now playing the same woman at different stages in her life. C can’t imagine turning into A, but B revels in seeing what she was and what she will become, and Metcalf makes us see the full arc of that life and how one woman’s experience leads to another and then another. But since B is 52 years old and a couple decades younger than C, she can’t forgive a son (Albee himself?) who left his mother and never bothered to say goodbye. Pill conveys the total horror of having to confront a life even before having lived it. Needless to say, she rejects that future life. Metcalf, for her part, conveys the false self-satisfaction of having figured it all out. Which leaves it to Jackson, who was so impossibly difficult and demanding in the first act, to achieve total forgiveness; and with that comes the realization that the greatest moment in life, as in the theater, arrives when it’s all over. Jackson, Metcalf and Pill are indeed tall, but otherwise it’s difficult to imagine three more different actresses. That they merge so effortlessly into one life is a credit to their talent and that of their director. Mantello is magnificently anonymous in his approach.